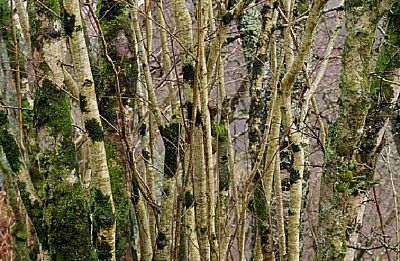 The damp oak woods of Knapdale are clothed in a rich fabric of cryptic life. Their shapes are clear, but the trees are hidden under a mosaic of small plants, the number and diversity of which is seldom matched anywhere else in the world. Branches, trunks and boulders are covered by a collage of greens, browns, reds and yellows. These so-called lower plants are mosses, liverworts and lichens. 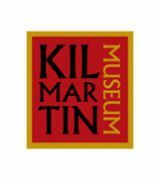 Their otherwise indecipherable scientific names hinting at the places and conditions which make them survive here in such profusion: atlantica, scottianum, maritimum, celticus. Or with the names of the few people who have studied them long enough to find new species: hutchinsoniae, pearsonii, mackaii. The names are likely to be confusing to the casual observer, given the obscurity of the language. Far more accessible is the sight, especially close up, of such a variety of living things crowded onto every surface, and in every nook. Branches of hazel trees covered in liverworts and lichens. 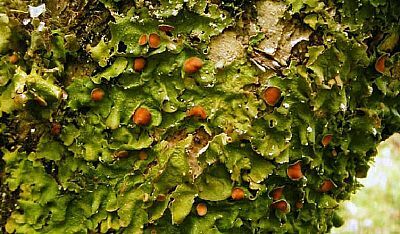 What looks like bark is actually a covering of lichen species vying for space. 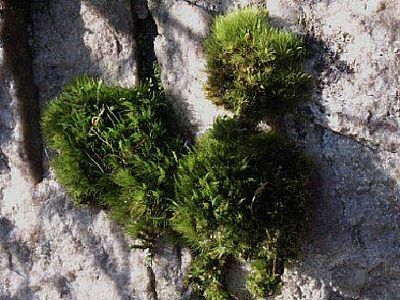 Green wafts of tiny-leaved liverworts fasten to the bark and build up into spongy cushions, leaves often too small to see with the naked eye. It’s the climate here that helps make these places so rich: cool, with a large number of wet days per year, but relatively few days of frost. This moderating effect of being on the coastal edge, with the diverse landform of hills, gulleys and boulders, clothed by the humidity-holding trees and gorges and tumbling burns. These plants love the clean air and high humidity. 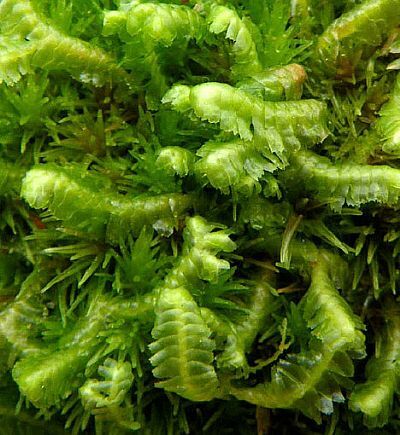 With no flowers, mosses and liverworts have no pollen or seeds. They have sperm, which need films of water about them to swim through, so they can fertilise an egg. Such a process shouldn’t seem so strange to us, except that it occurs in such unexpected quarters; such is our familiarity with flowers. 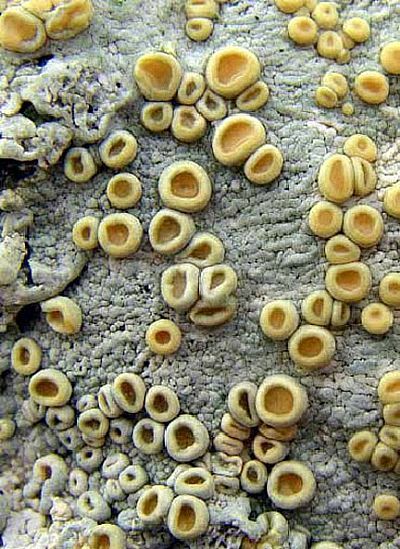 Lichens are even more bizarre. Actually two organisms living together; an algae growing between two slices of a fungi sandwich. Fungi themselves are considered neither plant nor animal, but have a kingdom of their own. 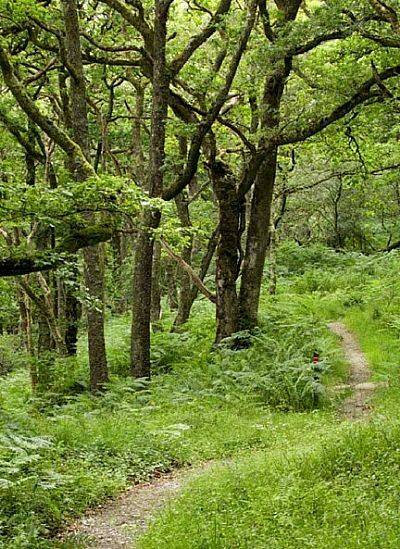 The oak woods of Argyll are special because they contain so many species, and include quite a number that are found in few other places in the world. 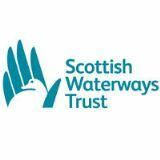 Plagiochila atlantica, a graceful, delicate liverwort, has a world distribution centred on the woodlands of the west coast of Scotland. The lichen Pseudocyphellaria norvegica, imprecisely named Norwegian Speckle-belly rather than Scottish Speckle-belly, has it’s world headquarters in Argyll’s woods. Adelanthus decipiens is likewise centred around the west coast of Scotland, displaying a preference for sloping boulder faces. Being so particular about where they like to live is important to these lower plants. 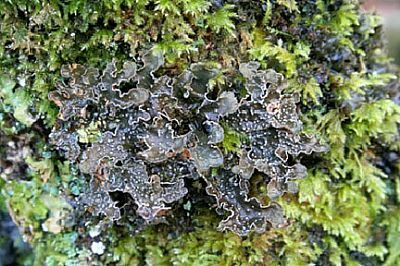 Some species will only be found on dead wood, others like the moss Dicranum scottianum, will only be found on vertical rock faces. 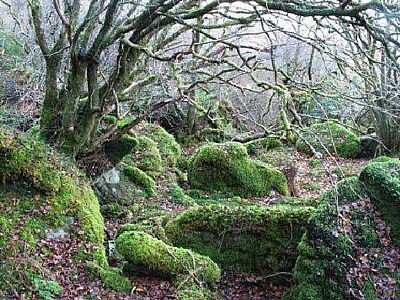 The structural diversity of our craggy, boulder-strewn woodlands plays no small part in the number of species that live here. Once it’s clear that these are no ordinary woods, with no ordinary species, it’s hard not to scan the trunks of the trees, the branches, the twigs; searching the smallest spaces to see the sheer diversity of life here. By focussing in, the strange shapes and different forms of these plants begin to be revealed. Liverworts with tiny leaves of all shapes; round, folded, pointed, spiny. Or with no leaves at all: simple straps of green tissue. Perhaps the most eycatching and photogenic are the myriad lichens which occur in Knapdale. The structure of the fruiting bodies set against the rest of the organism are at times striking, and often very unusual. The casual visitor might think that these lower plants are obscure organisms that will never be revealed by a simple stroll through the woods. Nothing could be further from the truth. At Barnluasgan a very formal path winds it’s way past so many of these species that they would be very hard to miss – they literally cover most of the tree trunks and branches. There must be few places where so many rare species could be seen next to a formal path. Likewise at Taynish, paths wind through woodland completely festooned with lower plants. Another great place to view these plants is on the Near to Nature Trail. There is a Self-Guided Trail Leafletthat will help you identify some of these intriguing plants. The treasures are revealed only to the observant, however. And perhaps the most striking quality of these species is how they alter our perceptions of the woods so completely, once we have become aware of the riches closest to us.